To save money, more and more grocery shoppers pass up the name brand item for the cheaper name they may never have heard of. 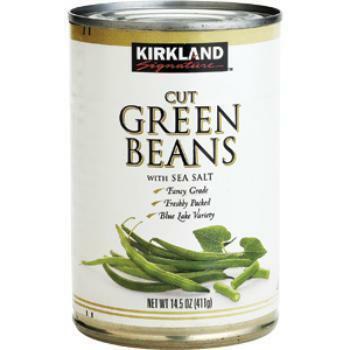 Consumers often refer to these as store brand or generic. However, “store brand” and “generic” are not really the same thing. 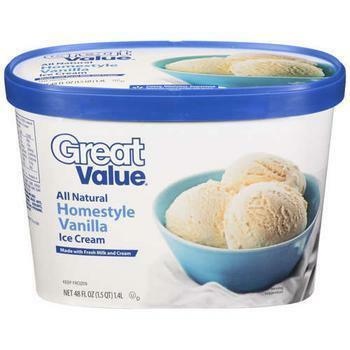 A generic food product might be of lesser quality to a store or name brand, but it might not. In fact, in some cases a generic products might be equal to anything else you might buy. And a generic might be a great way to save money if you are using the item as an ingredient in a home-made food item. When it comes to drugs, there should be no difference between generics and name brand. To earn a Food and Drug Administration (FDA) certification, a drug has to have the same active ingredient as its name brand equivalent. You pay more for a name brand drug because the company spend lots of money on research and development, not to mention marketing. But with food items, different rules apply. Store brands are slightly different from generics. Often referred to as “private label,” store brands are usually sold exclusively through one particular retailer. For example, Walmart's store brand is Great Value, with many of those products coming from a major food company, which produces its own version of those products under its own advertised brand names. Both products, however, usually come from the same factory. For obvious reasons major food companies that sell their own brands don't like to publicize the fact that they produce store brands for major retailers. They're trying to sell their own products – usually for more money – and don't want to essentially compete with themselves, even though producing store brands is a very lucrative sideline. The link between Walmart's Great Value and food giant ConAgra burst into the headlines in February 2007 when salmonella-tainted peanuts made it into a ConAgra facility that produced peanut butter. The foodborne illness outbreak resulted in a massive recall of both Peter Pan – ConAgra's brand – and Great Value peanut butter. There is nothing to suggest that generic products are inferior to store brands, though some consumers may be put off by the rather stark packaging. Generics may also come from a name brand factory, but they might not. There have been studies, however, that suggest store brands are, in most cases, every bit as good as their name brand equivalents. Consumer Reports recently ran some blind taste tests and found 33 of 57 store-brand foods to be as good as or better than the big name brand. 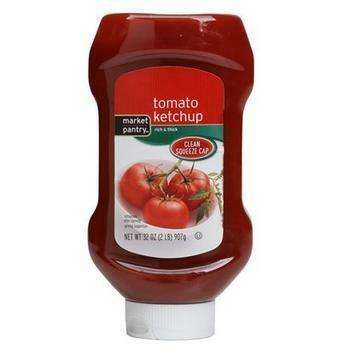 The Consumer Reports taste testers judged Market Pantry ketchup, Target's store brand, just as good as Heinz. Store brands of ice cream, trail mix, mozzarella and mixed vegetables, representing store brands from Costco, Kmart, Sam's Club, Target,Trader Joe's, Walmart, and Whole Foods, also showed up well. Besides ketchup, what other store brand items should you buy? Condiments and staples should be safe. For example, do you really need to spend extra for name brand sugar or salt? There may also be some name brand food items that should remain in your shopping cart. For example, you might be fond of a particular brand of frozen pizza. If the store brand is made by the same manufacturer, that could be an option. On the other hand, if not it could be a disappointment. The only way to know, however, is to give it a try. The overall objective is to save money without sacrificing quality, so the savvy grocery shopper should go where the savings are. Sometimes that might be the advertised brand. Shoppers should be on the lookout for sales and coupons that might make the advertised brand cheaper than either a store brand or generic. Which Is Better, Store Brand or Name Brand?